Advocates for low-income families needing state-subsidized child care blasted Gov. Bruce Rauner on Wednesday for putting in place more stringent eligibility guidelines that have reduced new enrollment in the program to a trickle. 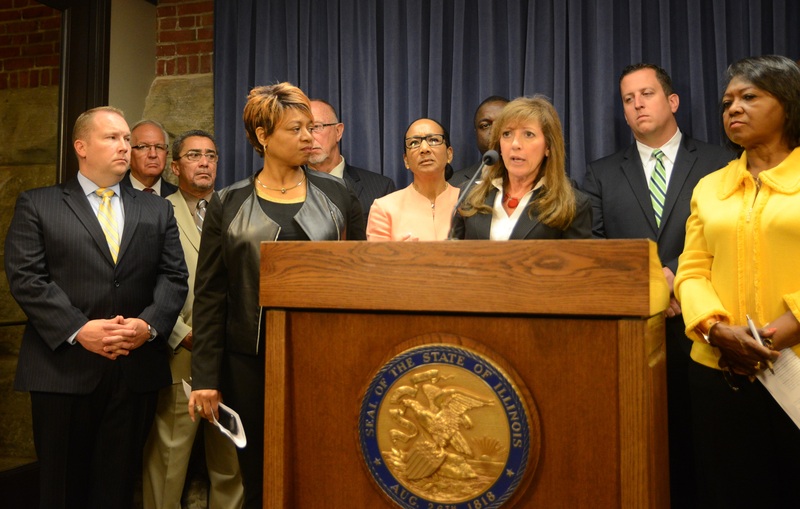 "This is one of the most coldhearted measures a governor can take," Sen. Linda Holmes, D-Aurora, said at a Capitol news conference alongside more than a dozen of her fellow Democrats from the Illinois House and Senate. She said Rauner's decision is counterproductive for someone who has said he wants to be business-friendly and compassionate. Subsidized child care is essential for low-wage workers, often single parents, to afford to work or further their educations, Holmes said. "Is it business-friendly to tell parents: 'Oh, by the way, you can't work your job. ... You have to stay home to take care of your kids because there is no child care assistance for you?' " Holmes said. Read the full story at the Springfield State Journal-Register.